← Monday Quick Tip – One Of My Fave Horsebiz Images Is Today’s Google Doodle! Now, I do kinda feel entitled to make some cheese jokes! I love cheese! Plus, I was born in Madison, Wisconsin, and saw my first circus at the Coliseum. My grandparents ran a dairy/tobacco/corn farm up near LaCrosse, although they had beef cattle by the time I came along. My Wisconsin roots run deep…driving to Madison always feels to me like going home. Even though I mostly grew up in Illinois, my mom returned to Madison about 25 years ago, and has lived there for years, only a 10 minute drive from the Coliseum (it’s now the Alliant Energy Center, but it’ll always be the Coliseum for me). So for the Midwest Horse Fair, I just drive up and stay at ‘Hotel Mom.’ Easy peasy. Some years the weather is awful, cold and wet and wintry. This year I attended Saturday & Sunday, so I missed the yucky weather on Friday. Saturday was one of those warm, sunny days that draws Midwesterners out of hibernation with the promise of Spring, or at least a chance at an early sunburn. We ended up parking at the fa-a-a-a-a-r end of the grounds. Past the roads. In the grass. I didn’t know the grounds went that far back! I took loads of pictures, met lots of people, sleuthed out the Exhibitor Hall, and looked for marketing and product innovations I could share here. But, there was SO much! So I’m going to ask you, dear readers, what YOU’D like to see…. Let me know what you’d like to read about by leaving a Comment – if you want to be anonymous, just say so in your comment and I won’t make it visible on the blog. 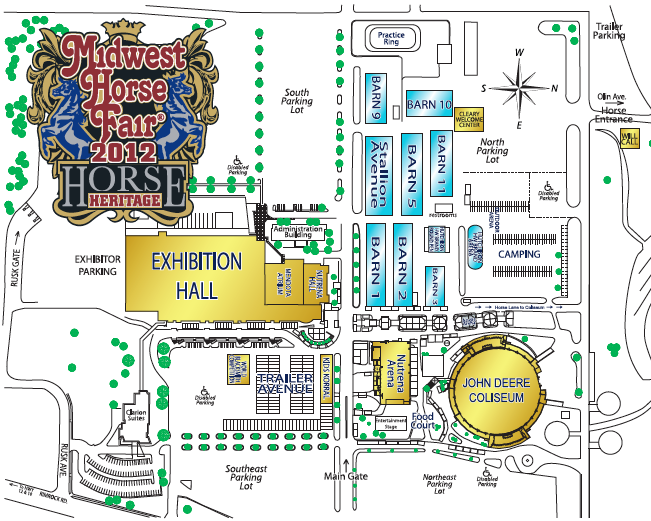 I will say that every year, the Midwest Horse Fair gets better and better. There are vendors and speakers that come back year after year, becoming friends you can find in the same booth space, but there are always plenty of NEW to keep things interesting. The Saturday night show this year was spectacular, keeping me interested throughout the 2.5+ hours. And the people watching is pretty amazing, too. 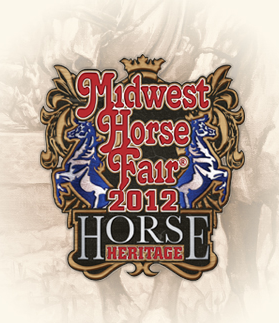 So let me know what you’d most like to see and hear about from the Midwest Horse Fair, and I’ll do my best to make it seem like you were there. Tell others about this resource for the horse world by using the Share button, and THANK YOU for taking a minute to do so.